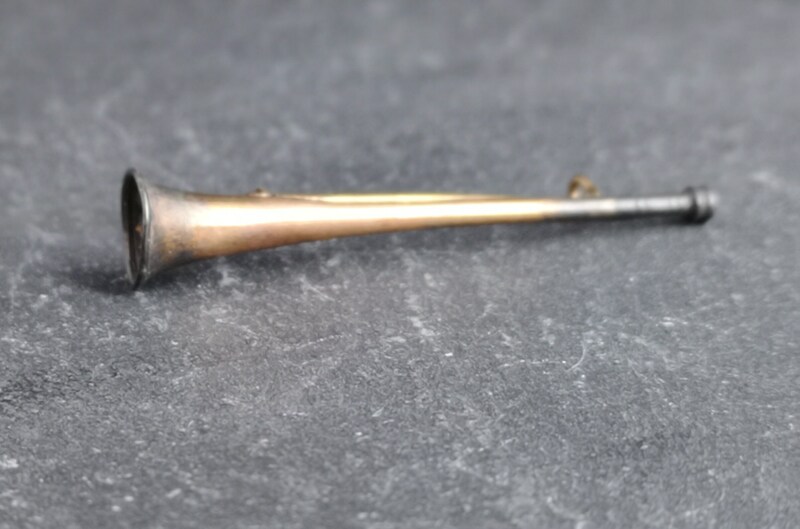 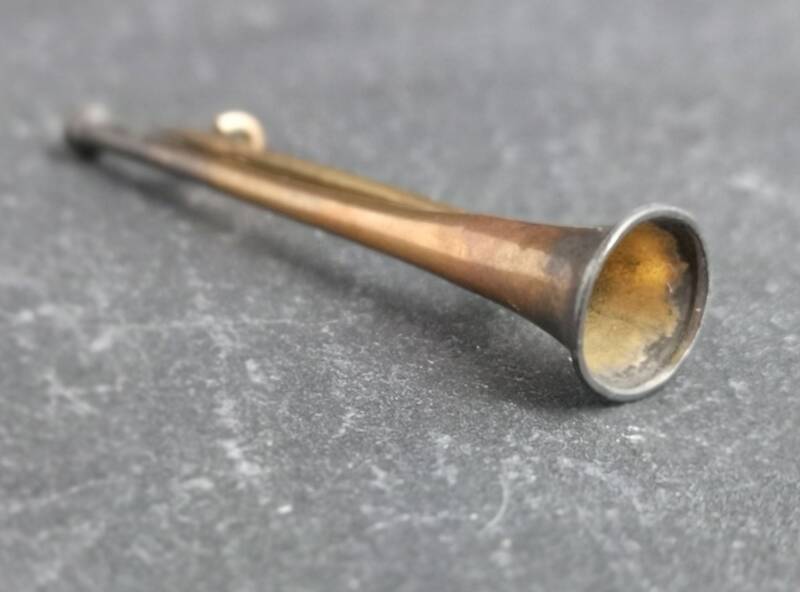 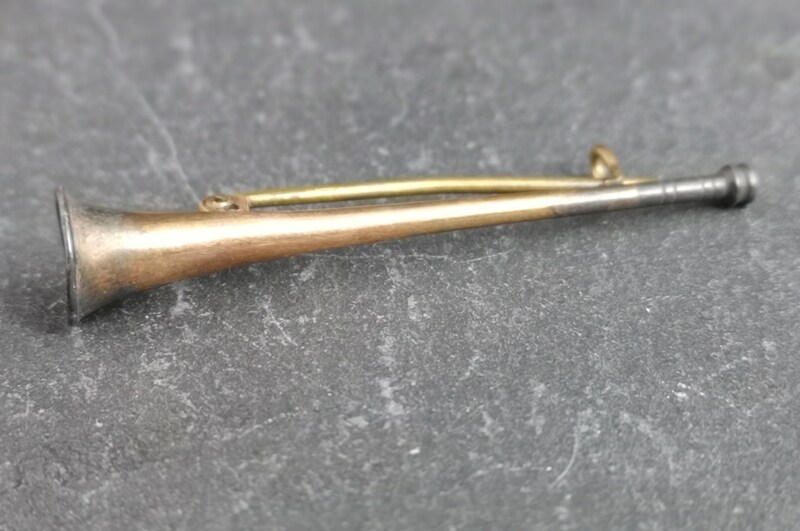 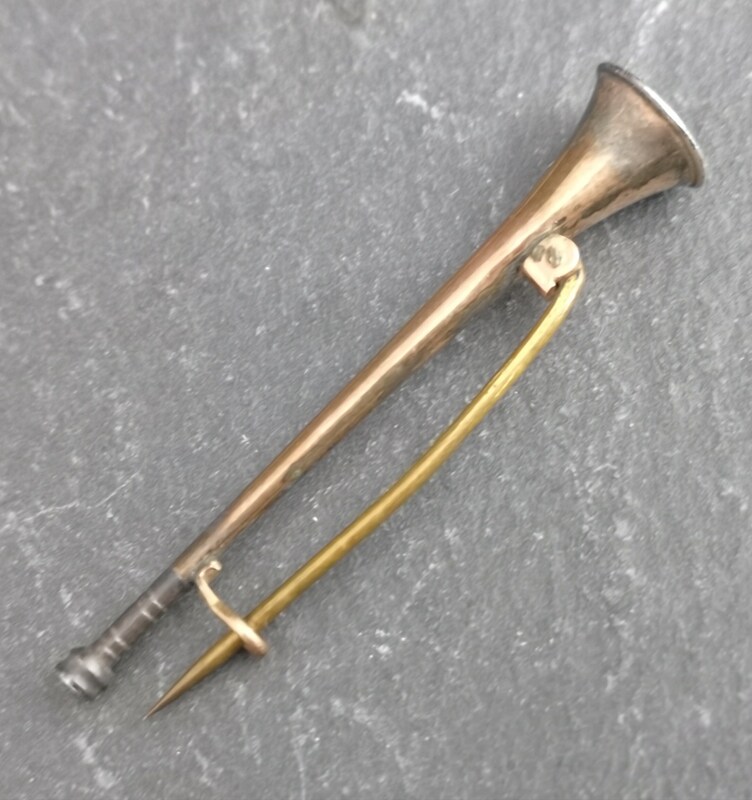 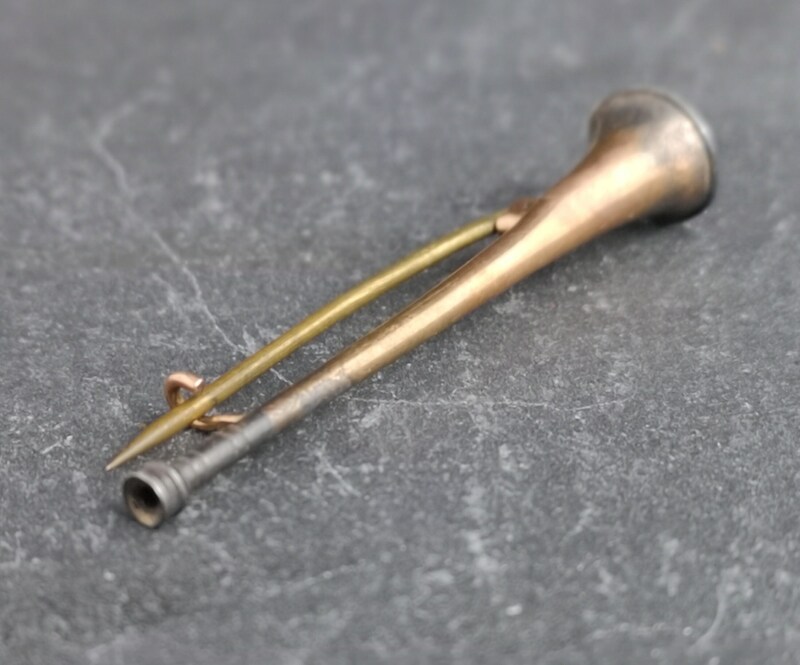 A late Victorian copper and brass bugle / horn brooch. 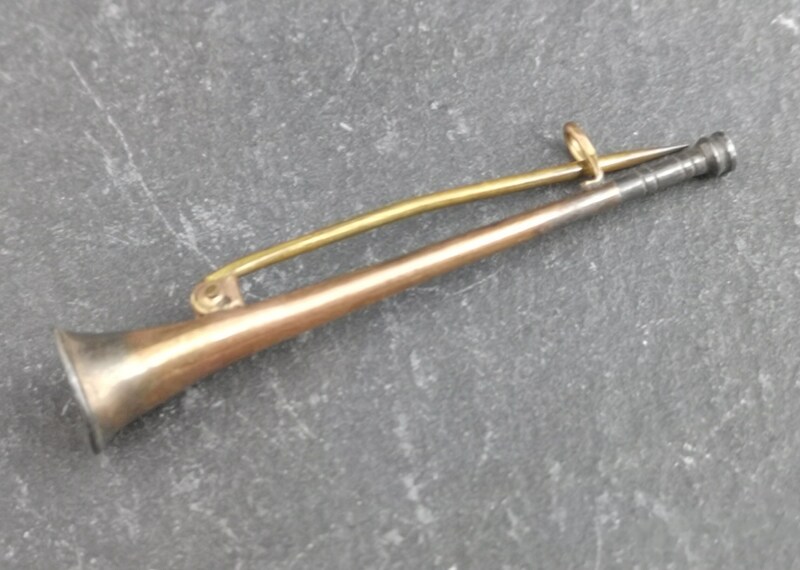 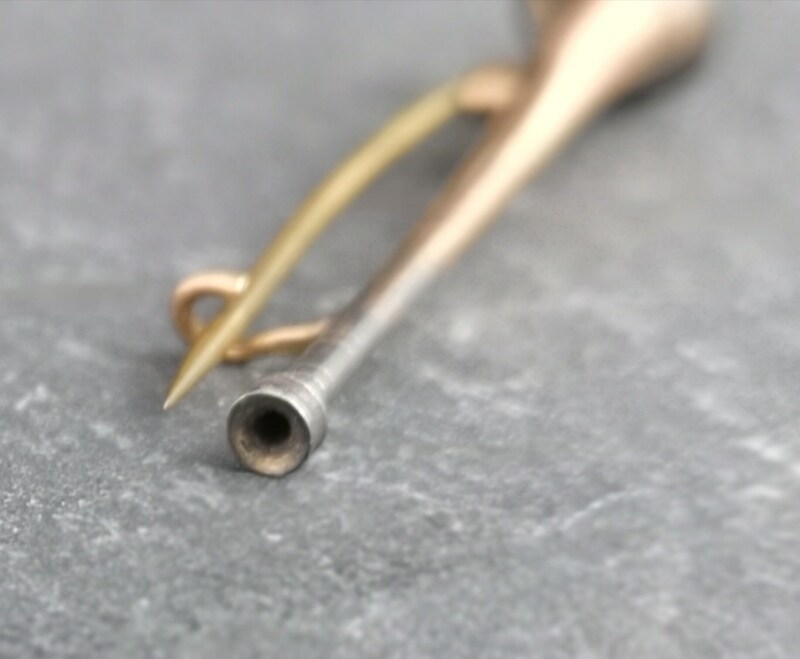 Slender design made from copper with darkened ends and a brass pin. 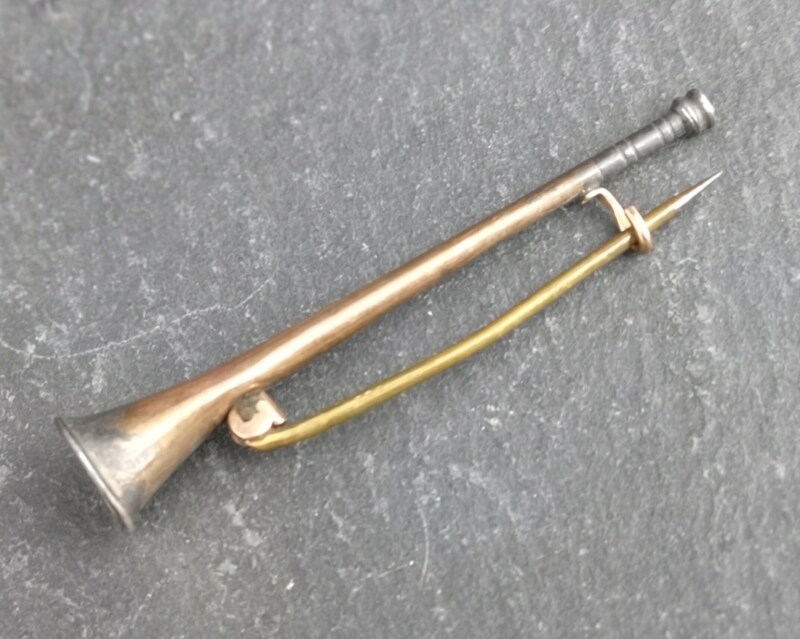 It is a hunting horn and would have been worn in the days of hunting being a fashionable thing to do of an afternoon. 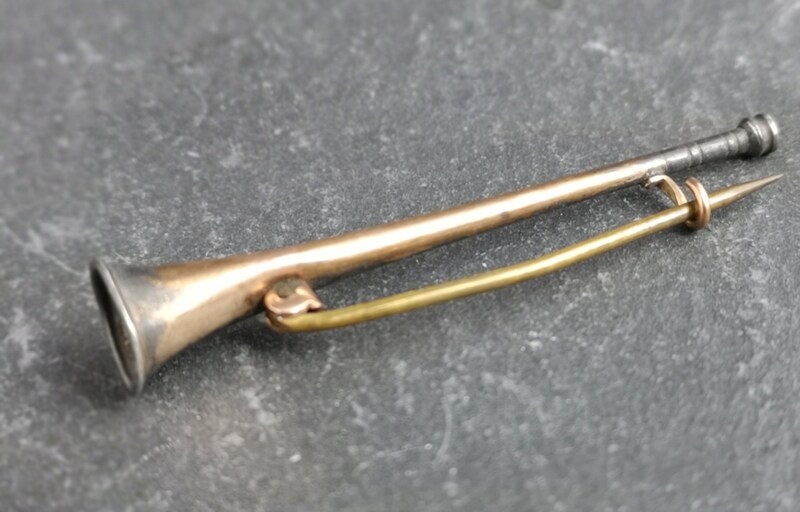 It does show wear, use and age, the pin is a bit loose in the c clasp but still wearable.